"A delusionist at the outset is a visionary in the end." This begins the first chapter of a book that breaks all patterns of common human perception and actually helps people to rethink their approaches to life - all of them. In doing so, Delusion is Good is a book that dares to take chances, risks being outrageous, and allows us to break all patterns that have been holding us back. As such, it goes into an in-depth study of the two matrixes that drive us - Love and Fear - and how we have to relearn our relationship with both before we an set a plan for our life. 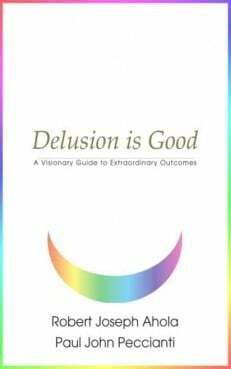 Delusion is Good is also a book about heroes - all those who, in their time, were believed to have been deluded but proved to the world that the true visionary risks all to share his or her vision. Most of all, this process taps that visionary passion in you, and the hero we all were meant to be.